It's a multiplayer horror game with a twist: It will only be around for a limited amount of time. Slated to hit Mac and PC on Friday, August 21, The Flock is a truly eerie experience. 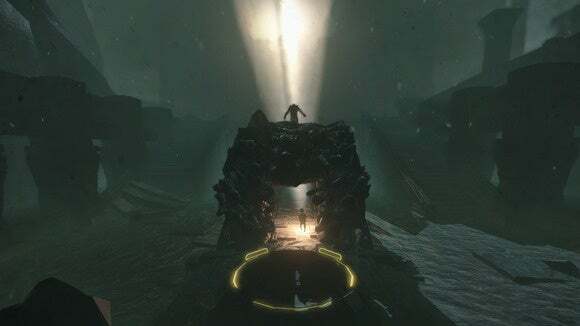 The first-person multiplayer game is draped in shadows as you control a hobbled, sluggish human-like creature protecting a glowing artifact—or one of the four ferocious monsters out to claim it. The Flock is billed as a horror game, and it’s the rare one in which the scares come not from scripted sequences or computer-controlled characters, but rather other online players. And the scariest thing about The Flock may truly surprise you: The game has a finite lifespan of its own, and it’ll stop working once enough player deaths are tallied. In other words, the worse that you and everyone else are at The Flock, the faster the game approaches its promised conclusion, ceases to be playable, and is no longer available for purchase. How’s that for incentive to play well? To hear the creators tell it, the idea of an ever-dwindling “population” of player lives is all about delivering a one-of-a-kind online experience—which must be savored within the potentially short window in which it’s available. Most online games die quietly as players lose interest and/or companies stop reaping profits. By comparison, The Flock’s players will see a countdown of overall lives remaining for the entire community. Once the number hits zero, they’ll be able to experience a grand finale before the game goes offline forever. Luckily, that approach ties neatly into the premise, which tells the story of a race of beasts “doomed to extinction” on Earth in the year 3000, says Jeroen Van Hasselt, creative director at Dutch studio Vogelsap. In fact, the population system—which was devised later in development—solved one of their biggest design problems: How to work story into a multiplayer game focused on short skirmishes, while simultaneously keeping players interested so the online game doesn’t fade away. While the Flock creatures have definite speed and agility advantages, the carrier’s light can kill them in an instant—if they’re moving. The Flock began as a university project for Van Hasselt in late 2012 at the Utrecht University of the Arts—he’s still a student, in fact—when the idea of using light to illuminate unseen action took hold. 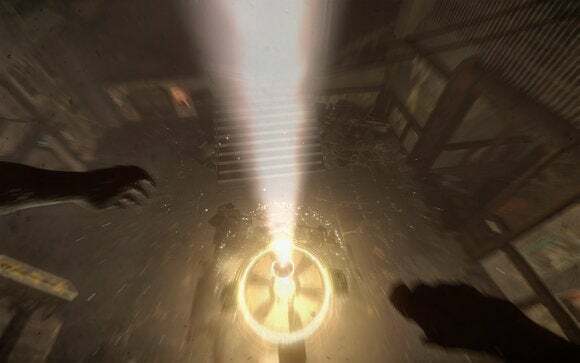 The levels are extremely dark, aside from the glow of the artifact—that’s where the tension and scares undoubtedly arise from. 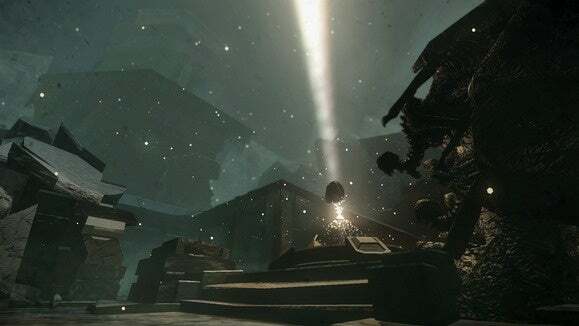 From that initial thought, he held a “real-life playtest” in a school basement with flashlights and friends, and then set off to create a multiplayer game built around that mechanic. 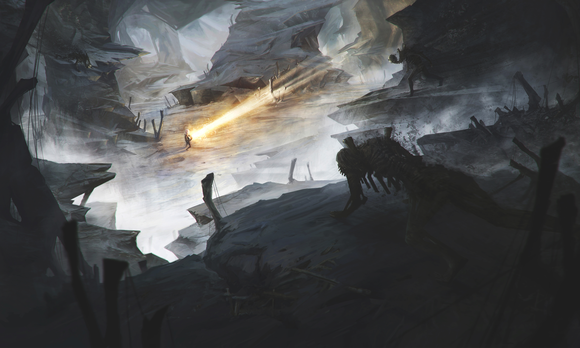 In the game, which supports between three and five total players per match, everyone starts as one of The Flock—the clawed monsters that can move swiftly through the darkness and bound incredible distances. 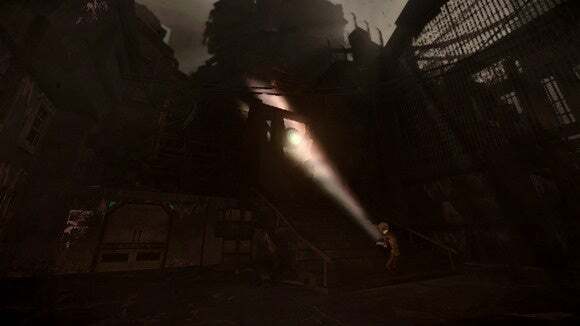 When one player finds and grabs the flashlight-esque artifact, he or she is transformed into the human-like carrier, who limps around with the light. Here’s where things get interesting: Sure, the Flock have an obvious physical advantage, and if unseen in the darkness, they can easily steal the artifact. But the carrier’s light is even more powerful—so much so that any movement within the illuminated path will immediately burn them to death. Luckily, the Flock creatures can stand still (like a statue) to avoid that grisly fate, and their majority means that the carrier probably can’t keep one foe pinned down with light for long without risking a sneak attack from another. The first to grab the artifact becomes the carrier, whose goal is to hold onto it as long as he or she can. Each battle will surely generate a small stack of Flock deaths, and those will be taken away from the starting tally. That initial number is 215,358,979—so hundreds of millions of lives are up for grabs before the game shuts down for good. The developers used data from the closed beta test to help shape that figure, but player demand and interest will determine how long the game actually lasts. And there’s one caveat: If Vogelsap opts to release the game on consoles, that total will be adjusted for all platforms. Will The Flock last months? A year? More? It’s a question that flies against conventional wisdom in the gaming space. While it’s true that online games typically don’t last forever—although World of Warcraft still attracts millions of subscribers after 11 years—there’s such a preoccupation with the concept of “value” for many game players. You buy a game and expect to play it over and over again, right? But at some point, with The Flock, that just won’t be true. This great concept art shows off the premise, but let’s be honest: the actual game looks much, much more shadowy than even this. It’s almost inching towards performance art, paying for one experience that lasts a certain amount of time—only unlike a play or screened film, that end time isn’t finalized from the start, and your own actions help hurry it along. The Flock isn’t structured like most other games, so treating it with the same expectations seems like a fool’s errand. The announcement of the population system has generated a lot of buzz around the game: Some positive, but also plenty negative, as prospective players gripe about paying for something that isn’t certain to last. Van Hasselt admits that the The Flock won’t be for everyone, given that distinctive approach. However, he seems sure that possibly scaring away some players is a worthwhile sacrifice, as it makes for a better game for everyone else willing to take the plunge. Editor’s note: This story was updated on Thursday, August 27 2015 at 6:30 p.m. PST to correct the game’s launch date. Originally, the Mac version of The Flock was scheduled to launch on Friday, August 21 alongside its PC counterpart, but that date has been pushed back. No rescheduled launch date has been announced.